SUBLIMED is the result of a two years R&D collaboration between the CEA (Atomic Energy Commission) and the Grenoble Teaching Hospital. The founding partners, Nicolas Karst and Simon Perraud for the CEA, Jean-Pierre Alibeu for Grenoble Teaching Hospital, joined by Benoît Roure as sales and marketing Director, designed a unique product, protected by 5 patents. – Patient friendly: with SUBLIMED, the treatment of chronic pains by TENS enters in a new era. Miniaturized, thin and flexible, the SUBLIMED device is directly worn on the body and adapts itself perfectly to the morphology of each patient. Easily hidden under clothes, monitored wirelessly by smartphone, the SUBLIMED device discreetly supports the patient in daily activities and relieves pain in any circumstances. – Multi-purpose: the SUBLIMED device was specially designed to offer more flexibility than the conventional products. The SUBLIMED device allows to stimulate all the body zones which can be targeted for a specific TENS treatment, and to choose the optimal positioning of the cutaneous electrodes whatever the morphology and the pathology of the patient. – Connected: the SUBLIMED smartphone application collects, analyzes and synthesizes the patient data. Furthermore, during each consultation, the medical practitioner benefits from a simple and effective tool to fine-tune the diagnosis and personalize the treatment. 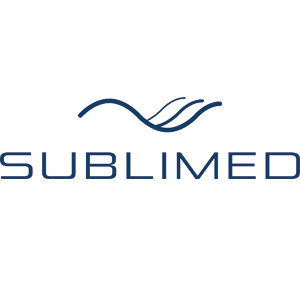 Today the SUBLIMED team consists of 5 people, with besides the founding partners, a Quality & Regulatory Affairs engineer (Alix Meunier). SUBLIMED positions itself as an actor of Health proposing a complete therapeutic solution, first to improve the TENS therapy compliance by patients, and second to enable doctors to optimize and personalize treatments based on data collected and modelled by the smartphone apps.